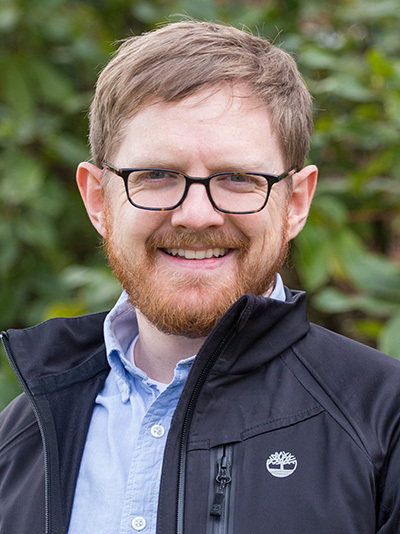 Jonathan Ramse joined George Fox as an instructor of economics in 2016. Previously he worked at the University of Missouri-Kansas City as a graduate teaching assistant for two and a half years. He also spent the fall 2016 semester as an adjunct instructor of economics at Park University in Parkville, Missouri. Jonathan is a PhD candidate in the economics program at the University of Missouri-Kansas City, with an expected completion in the fall of 2017, and holds a master’s degree in economics (2014) from the same institution. His bachelor’s degree in economics and international relations came from Wartburg College in 2007. Jonathan was raised in Nepal and has lived in and traveled to a number of other countries. He has a passion for exploring new places and meeting new people. In his free time he enjoys hiking and camping with his wife Bethany. Jonathan and Bethany live in Tualatin and attend Trinity Lutheran Church in Hillsboro.